Falling for Fall with Bouvardian | For the Joy of Life. The first snow fell the other day. It was equally as exciting as it was terrifying. Luckily none of it stuck on the ground. However, it stuck in the mountains! I have complete mixed feelings on the whole situation. If you follow me on snapchat (@aleighjoy) then you'll be hearing lots of rambles about the colder weather ha. So, the reason I can't figure out how I feel about it is because once winter hits, my fall wardrobe gets hidden under coats. 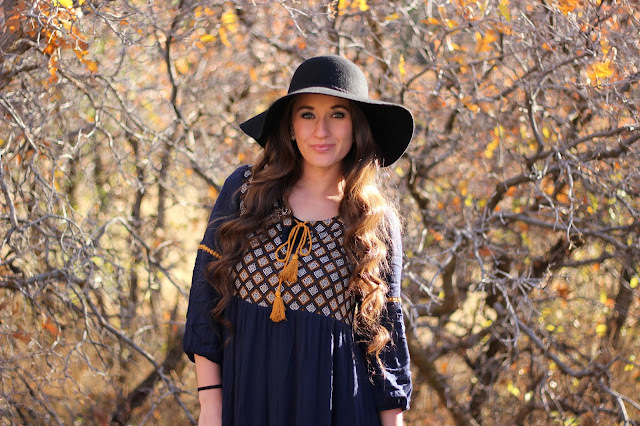 Pieces like this AMAZING dress from Bouvardian are making me wish fall would stay forever. I mean just look at it! It's the dreamiest. The colors, the design, the fit... everything about it is making me swoon. 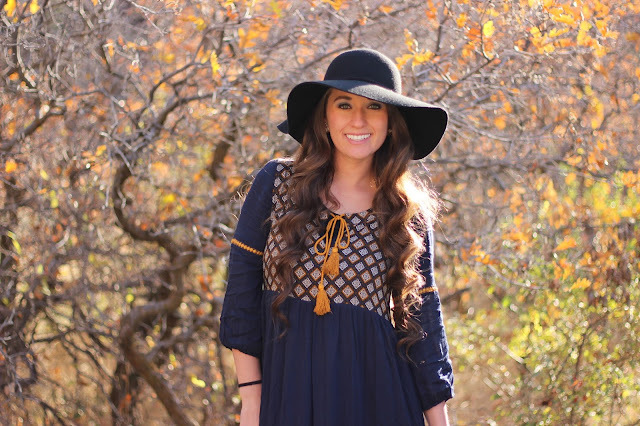 I paired my dress with my favorite fall booties and a floppy hat because those things are the cutest and my fall essentials. In the picture above you'll see I added a cardigan too! Perfect for colder weather! Something I totally love about this dress is that you don't have to wear very much jewelry. I wore some earrings and called it good because I didn't want to take away from the awesome detail it already has. It is a great twirl dress! Bouvardian is a new online shop that I'm absolutely dying over! It's all cute, affordable, and modest. Jana, the owner, is SO nice. I had the privilege of meeting her in person and we seriously stood in her son's room chatting for about an hour. She hand picks each piece and she even adds style tips for each item. 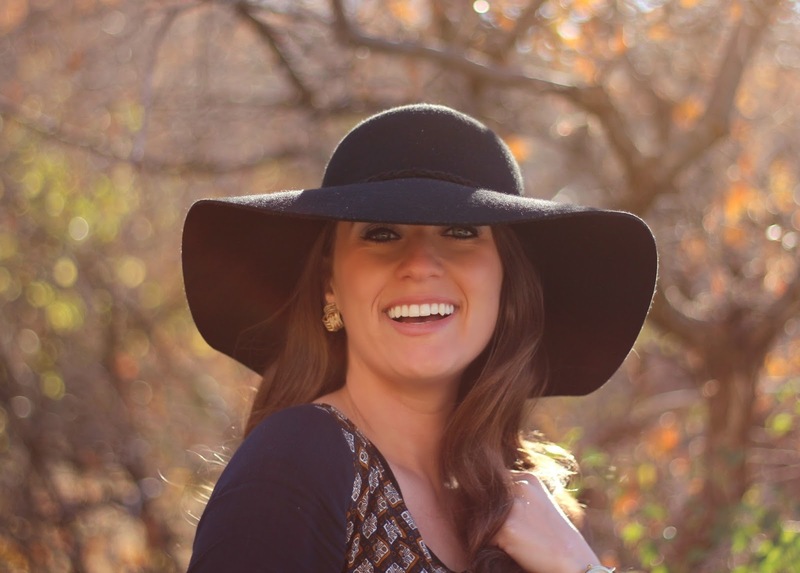 Jana is also the creator of The Creative Closet on her blog. Check it out to see how she styles pieces from her shop! 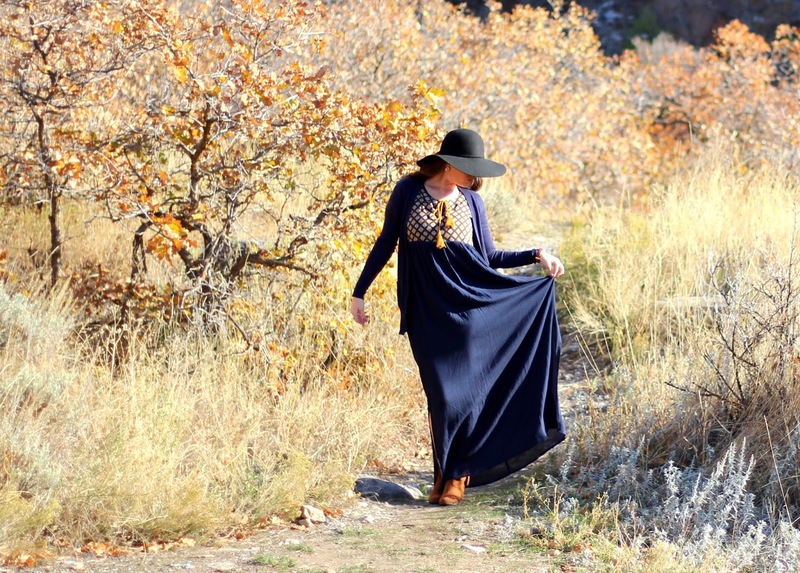 I love my new Bohemian Tassel Maxi and wish it were acceptable to wear it every single day. It's so feminine and pretty and has a perfect fit. My favorite clothes postpartum have been tighter up top and loser around the hips/tummy. This dress does just that! It's perfect for church, date night, or family photos! The embroidered detail and the added lace make this dress so dreamy. I loved wearing my pearl and rhinestone headband with it. I can also see this dress paired with a dainty gold necklace and some gold pumps. 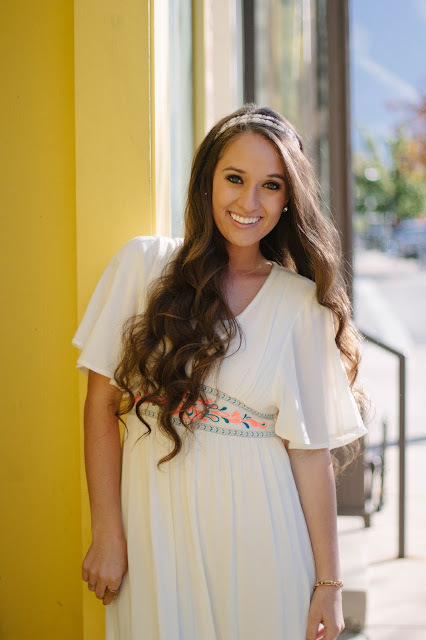 I'm so excited to have found Bouvardian and want to fill my whole closet with all their pretty pieces! 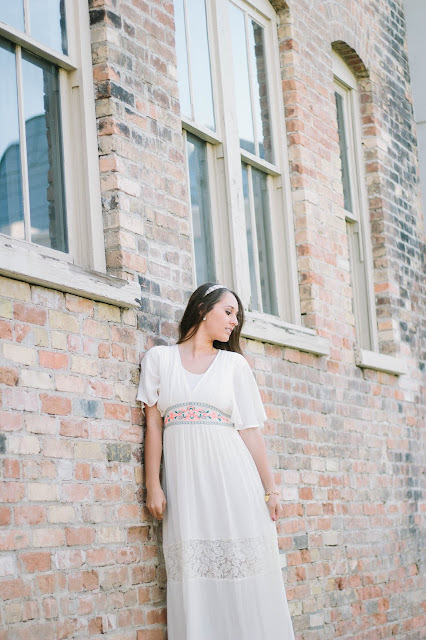 I can't wait to see Jana's next batch of new arrivals, they are sure not to disappoint. Go on ahead and check out the shop for yourself! I guarantee you will find more than one thing for yourself in the shop so use code ALEIGH10 at checkout for 10% off your order! And I have to give photo credit to the lovely photographer of the last four images! Check out Kiely over at Pocket of Blossoms and contact her for a shoot!